Periodontal disease can be diagnosed, assessed and treated at Holly House. Whether you have early signs of the disease, or have been suffering for many years, we can guide you and help to improve your condition. You can also be reassured by the fact that we are one of the very few practices in the North west to offer a Specialist Periodontal treatment service. For our patients, and patients of practices in the local area, we provide Specialist and advanced periodontal treatments. People who suffer from moderate to severe periodontal disease, or are having extensive advanced dental care, often opt to be treated by our Specialist. Our Periodontal Specialist is Dr Khurrum Hussain. He has been trained at the World Renowned Eastman Dental Institute and works to the highest clinical standards in his field. He has many years of experience, and has helped many patients regain confidence in their smiles by ensuring their gums are disease-free, stronger and healthier. Dr Khurrum Hussain leads his team and has created a patient pathway, which may start with loose teeth and painful bleeding gums, but ends with healthy happy smiles that can be maintained. Healthy gum foundations also then allow more complex dental procedures to have a higher success rate and longer lifespan. Dental implants and gum surgery are also areas of interest and expertise for our Specialist. What Specialist Periodontal Treatments are there? Specialist periodontal treatments include things like gum surgery, cosmetic soft tissue manipulation or regeneration, and dental implant surgery. You could also be offered something called subgingival debridement which is the removal of plaque and tartar from below the surface of your gums. This is essentially a deep cleaning treatment which gets right down to the roots of your teeth removing bacteria, tartar and any debris from under the gums and around the teeth. It is usually carried out under local anaesthetic. In severe cases, teeth which are very loose and diseased, may be extracted. The areas can then heal and a dental implant may be a suitable replacement. What do I do if I have Advanced Periodontal Disease? If we have made a diagnosis of advanced periodontal disease during a dental or hygienist visit, then we may refer you on to our Periodontal Specialist for treatment. It is important that you listen to the advice given and follow the home care instructions for maintaining healthy gums. 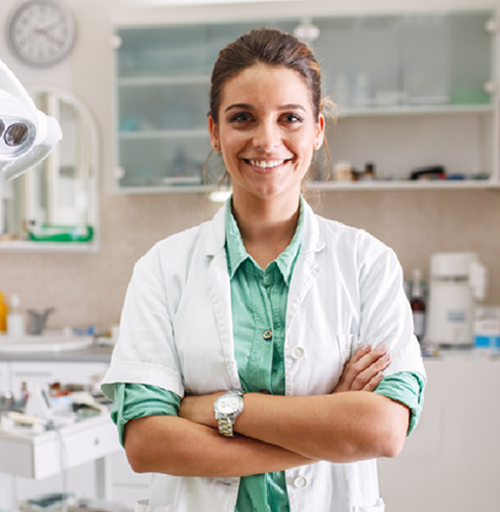 Managing gum disease requires a positive and proactive attitude along with working with our experts. Your mouth will thank you for it, and your teeth should stay firmer for longer!